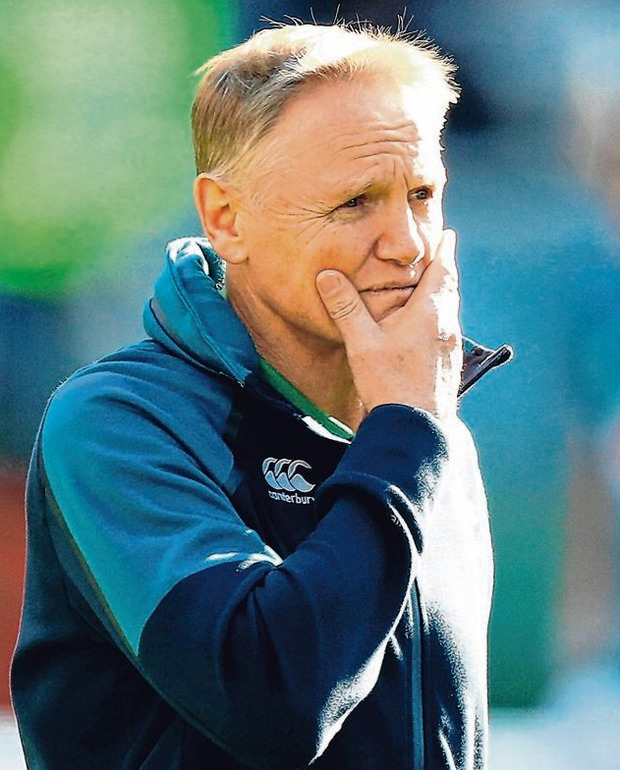 For all of the talk of the bubble that surrounds Joe Schmidt and his camp, the Ireland head coach has always kept abreast of what is said and written about his team. Given the volume of teeth gnashing that has gone on since they returned from Rome, it would be hard to ignore the concerned nature of the public discourse. Despite collecting a bonus-point win on the road, the coach was not mincing his words in the aftermath of the game; pointedly speaking about his own worry about the players being "a bit broken" by the experience of losing to England. This week, they've tried to release some pressure in Belfast by bonding over dinner and taking 'black cab' tours around the city, while Schmidt looks set to freshen things up with his selection as he released five starters and a few subs to the provinces. He is aware of the criticism, but he does not agree with it. In particular, he rejected the suggestion that his team were going through a crisis of confidence of the kind that infamously afflicted the 2007 World Cup squad. "I think less so than the pundits," he said when asked whether the internal reviews had echoed those in the television and radio studios in the last week. "We're pretty realistic about the group that we have and we've mixed them up a fair bit. "I think in the context of the Italian game we were pretty disappointed with the number of passes that went to ground, how untidy we were with the ball. "We're probably not as dismayed (or) as keen to start changing direction. "We're still confident that we can work our way through this and deliver a couple of really good performances in the last two games of the Championship. "You can only say in retrospect at the end of the Championship whether we achieved that or not, but at the moment that's what we're driven toward. "We don't get too distracted by people making comparisons with a team (from) 12 years ago, it couldn't be more irrelevant to us because, for us, some of what we try to do is very much in the moment and it is for eight or 10 days' time, it's not looking 12 years back to see what we need to learn. "We'll learn a bit from what happened in Italy and then we'll try to springboard from that into a really good performance against France." Although the Six Nations has been dominating the focus here, talk of a 'nations' league' has been the big issue in the world of rugby all week and Schmidt urged caution in pursuing changes as he echoed Johnny Sexton's comments earlier this week. "When Johnny, when Owen (Farrell), when Kieran Read are all saying similar things and even from slightly different perspectives I think that World Rugby have to listen, don't they?" he said. "World Rugby revolves around its prized assets and if you don't look after your prized assets in any way, shape or form, in any sphere, then you are not going to be worth what you were before. "I played in the amateur era but a lot of the values from the amateur era have been retained and, yes, there are commercial realities, yes, you are trying to compete on a global stage where there is a lot of competition but if you want to speak globally you can't ring-fence 12 teams and say forever because 12 years is a long time for it to be exclusive. "There are things that they are going to have to work out and work through. "I will be finished (coaching) but that doesn't mean that I don't love the game and I don't want to be watching teams play and that includes some teams that maybe aren't fashionable now but in 12 years' time could potentially be. "It is a complicated conundrum for World Rugby. I've only looked from the outside in. I have seen a few emails float around amongst players and things but I'm watching from the outside and hoping we can get the best of all worlds which is not necessarily a reality but what we are all hoping for."